Greet your guests at the door with one of these babies at your game day party next weekend, and you're sure to be named MVP! The secret ingredient is the Horseradish Vodka (where my horseradish lovers at?!)! 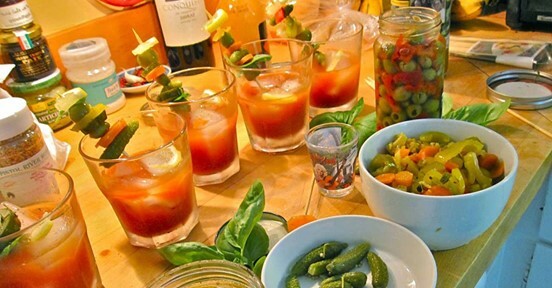 Let your guests choose their favorite garnishes... Meats, pickles, etc. Don't forget your favorite Wisconsin Cheese... THE CHEESE CURDS! Fill a tumbler with ice. Then add ingredients as listed. Stir. Pour.